TRUHAIR by Chelsea Scott is a line of professionally formulated, easy-to-use hair care products, and is currently one of the best-selling lines on the HSN Network. TRUHAIR features everything from shampoo and conditioner to finishing products to professional styling tools and hair improving products. 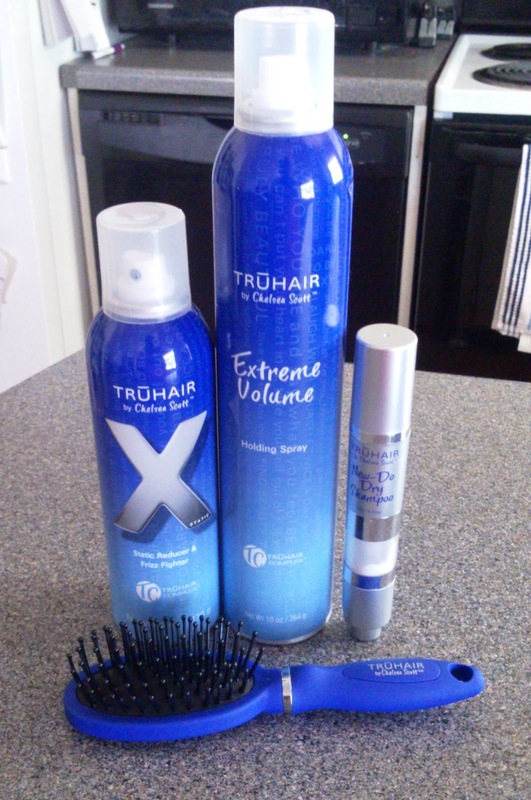 I was lucky enough to try out three products from the TRUHAIR line: New-Do Dry Shampoo, XStatic Solution Spray and Brush Kit, and Extreme Volume Holding Spray. 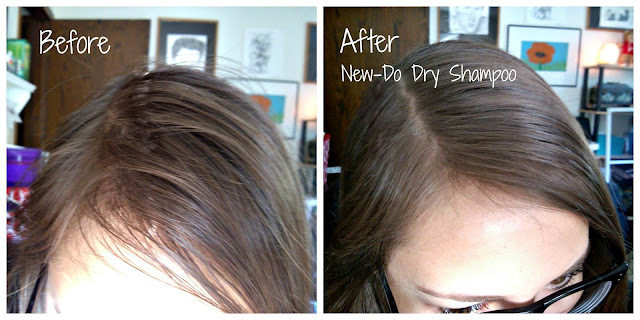 My favorite product is the New-Do Dry Shampoo, an oil-absorbing powder that comes in a portable brush-on applicator. It's really easy to use - just take off the cap, twist up the brush to expose the soft bristles, and click the button on the bottom of the applicator to distribute powder inside the brush. Then brush onto roots and along hairline and blend. I first made the mistake of pushing the button several times, which was unnecessary because one push of the button goes a long way. This powder is very fine and absorbs really easily into my hair so that it leaves no evidence or residue. It makes my hair look and feel clean and fresh. New-Do Dry Shampoo powder works better than any other dry shampoo I've ever tried (both sprays and powders), and I love the brush applicator - it makes blending so much easier, distributes the perfect amount of powder into my hair, and helps me avoid making a huge mess in the bathroom. The XStatic Solution Spray and Antistatic Brush Set is another product that I just can't say enough good things about. Unlike gloss sprays and smoothing creams I've tried that seem to weight my hair down, this is a lightweight mist that eliminates flyaways and static cling while at the same time leaving my hair soft to the touch. My hair not only looks good and styles well after brushing this through my hair, but it feels great too. I especially appreciate how well it works when I use it before putting my hair up to keep flyaways under control. The brush is the perfect size for travel and easy storage, helps de-tangle my hair, and is nice for every day brushing. The handle has a velvety coating that feels nice to the touch. Last but not least I reviewed the TRUHAIR Extreme Volume Holding Spray, which is a lightweight, brushable hairspray that provides hair with the appearance of volume. This spray is fast-drying and buildable for more hold, and yet it is always brushable. It doesn't leave my hair dull or flakey, which is the hardest feature to find in a good-holding hairspray. The true test was spraying my ponytail - this spray did not make my ponytail look straw-like or stiff, but soft and shiny and perfectly held in place. The light scent is also really nice - it reminded me of a fruity cocktail. This is definitely one of the best hairsprays I've ever tried, and I love that it volumizes without making my hair look and feel stiff. I highly recommend the TRUHAIR line of products, and look forward to trying more in the future. Want to try out TRUHAIR for yourself? 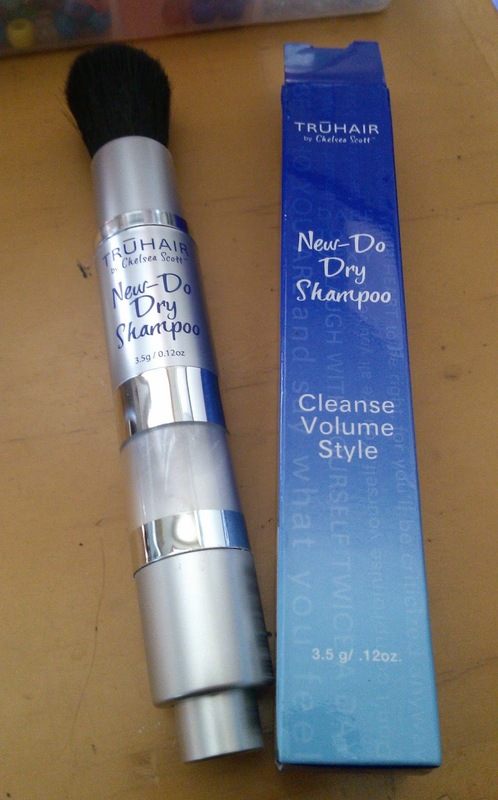 Enter below to win a New-Do Dry Shampoo!